To keep your home clean in between Merry Maid services, try adding some of these tips into your daily life. Only a little bit of effort is required, and if you follow these tips, your home will be much more organized and be easier to clean. In every home and property, there is always one item that is a nuisance in our homes that causes it to look dirty, and that is dust. 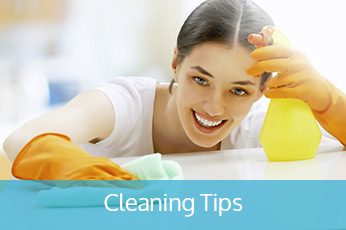 Our experts have compiled some helpful cleaning tips you can utilize to help reduce the overall amount of dust within your home. When you get home from a long day, you don’t want to spend your evenings cleaning your home from all the clutter and trash. Instead, you’d probably much prefer a calm and relaxed evening without having to worry about any type of obligations. But the Las Vegas house cleaning experts, Merry Maids Las Vegas, has some helpful tips you can use to help keep your home organized and free of messes. In any home, carpet stains are almost impossible to avoid. With children, pets, and clumsiness, there will be at least one instance where you spill either a drink or plate of food when moving about in your home. With our tips, we hope that you’ll be able to remove unsightly stains and keep your carpets looking like new. At Merry Maids, we are supporters of providing exceptional cleaning services that are also safe for the environment. The green cleaning product we use is Shineffective®, which is Design for Environment (DfE®) approved. The cleaning products we use in our house cleaning services meet the guidelines set by the United States Environmental Protection Agency. 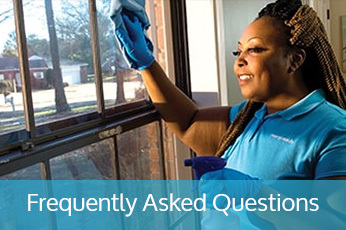 Click here to learn more about our Green Cleaning Process and Equipment. Schedule your appointment online or give us a call at 702-436-4362! Proudly serving Las Vegas (East of I-15), Henderson, and Boulder City in Nevada. Copyright © 2016 Merry Maids Limited Partnership. All Rights Reserved. Availability of services may vary depending on location. Employment hiring and screening practices may vary. Please contact your local Merry Maids office for more details. Copyright © 2016 ServiceMaster by Al. All Rights Reserved.